Only 1% of Australians over the age of 50 knew about the Amsler grid – a simple self-test to monitor for symptoms of macular degeneration, the leading cause of blindness and severe vision loss in Australia. Furthermore only 68% admitted to having never seen an Amsler grid before according to a recent survey by the Macular Disease Foundation Australia. Commenting on the survey findings, Macular Disease Foundation Australia Chief Executive Officer Julie Heraghty said, “The most important thing for all those at risk of macular degeneration is to have an eye test and macula check. In addition, you should also use an Amsler grid to monitor for changes in vision and test for possible symptoms between visits to an eye health professional. It is concerning that so few Australians are aware of this simple at-home testing tool. “When using the Amsler grid, if you notice any sudden changes in your vision, if you see straight lines appearing wavy or bent, or dark patches or empty spaces in the centre of your vision, you need to make an urgent appointment with your eye health professional, as early detection can save sight,” said Ms Heraghty. Macular degeneration is the leading cause of blindness and severe vision loss in Australia with more than 1.15 million Australians over the age of 50 having some evidence of the disease. Without appropriate prevention and treatment measures, this number is set to increase to 1.7 million by 2030, due to the rapidly ageing population.2 Risk factors for macular degeneration include being over the age of fifty, a direct family history, and smoking. The survey also revealed that 75% of respondents were unaware certain nutrients could contribute to good eye health. Interestingly, only 4% knew that the antioxidant lutein was important for macula health3 which is found in dark green leafy vegetables such as spinach, kale and silver beet. “Follow an eye health diet and lifestyle including fish 2-3 times a week, dark green leafy vegetables and fresh fruit daily, a handful of nuts a week, choose low GI foods and limit your intake of fats and oils. Exercising, maintaining a healthy weight and not smoking are also essential. Smoking increases your risk of developing the disease by 3 to 4 times and can lead to blindness, so quitting is critical,” said Ms Heraghty. A supplement can be very important in reducing risk and progression of disease and this along with any changes in diet and lifestyle should be undertaken in consultation with your doctor. “We want every Australian with, or at risk of, macular degeneration to take control of their eye health this Macular Degeneration Awareness Week. This is by having an eye test and macula check, using the Amsler grid between visits and adopting an eye health diet and lifestyle program,” said Ms Heraghty. To order a FREE information kit including an Amsler grid call the Macular Disease Foundation Australia on 1800 111 709 or visit www.mdfoundation.com.au. Macular degeneration is the leading cause of blindness and vision loss in Australia. All Australians over the age of 50 years should have an eye test and make sure their macula is checked. The macula is the central part of the retina, which is the light-sensitive tissue at the back of the eye. 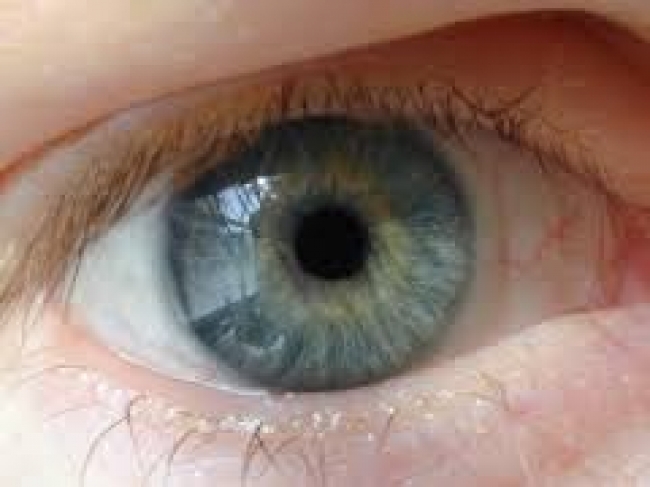 The macula processes all central visual images and is responsible for the ability to drive, see colours clearly, read and recognise faces. Macular degeneration causes damage to the macula, resulting in central vision loss. Macular Degeneration Awareness Week has been an initiative of the Macular Disease Foundation Australia since 2003. The Foundation’s vision is to reduce the incidence and impact of macular disease in Australia through education, awareness, research, support services and representation. The Foundation is a national charity providing information, guidance and support on prevention, early detection, treatment and rehabilitation. The Foundation is the voice of the macular disease community, building healthy communities through the development of effective public policy, a sound knowledge base and strong relationships and partnerships. The Foundation’s work encompasses macular degeneration, diabetic retinopathy, retinal vein occlusions and a range of other macular diseases. ***Please note: this media release was written and provided by the Macular Disease Foundation Australia.